Dylan Sinn | The Journal Gazette Carroll's Langston Ginder pitches against South Side on Saturday at Loeb Stadium in Lafayette. Dylan Sinn | The Journal Gazette Carroll's Hayden Jones hits against South Side on Saturday at Loeb Stadium in Lafayette. LAFAYETTE – South Side had already taken down two of the top teams in Class 4A on its way to a sectional championship, but Carroll refused to let the Cinderella story go any further. The Chargers jumped out to an early lead and kept tacking on in the later innings, getting two hits and two RBI from catcher Hayden Jones and a big game from pitcher Riley Perlich to win 10-4 and cruise into the regional championship game. The Archers (14-13) kept the game close in the early innings, but Carroll broke it open in the fourth. The Chargers scored five in the inning, with the help of a couple of South Side errors. Jones, who has signed with Mississippi State, blooped a single down the left-field line to drive in a run and Perlich helped his own cause with a rope to right for another RBI hit. Designated hitter Micah Fretz also doubled and scored in the inning. The combination of Carroll hits and South Side errors leading to Chargers runs was a common one. 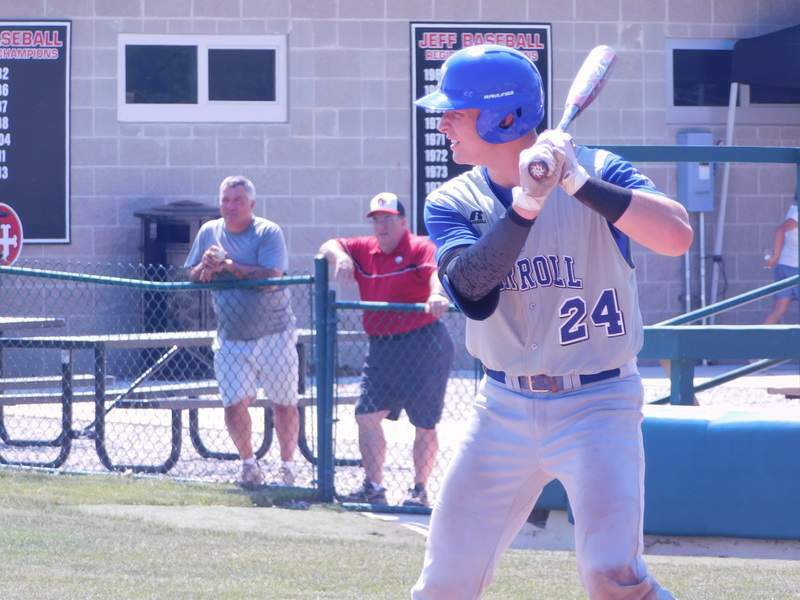 The Archers committed a half-dozen errors and Carroll scored 10 runs, including at least one in each of the first five innings. 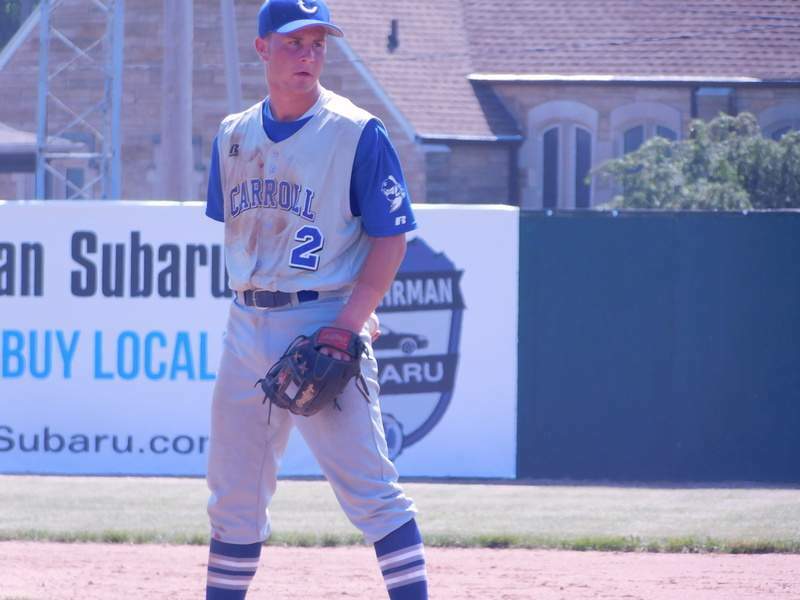 Perlich had a huge game for the Chargers (23-7), going 2 for 3 with a walk, two RBI and two runs scored at the plate, while also starting on the mound. The senior right-hander pitched three innings, giving up one run and striking out six. He whiffed three straight Archers after giving up a leadoff single in the second and certainly could have pitched longer had the game been close. South Side had one big inning, batting around and scoring three times in the fifth against Carroll reliever Austin Kresl. Jacob Sanchez walked with the bases loaded to bring in one run and two more scored when Dion Goodwell chopped to short with the bags full again and the ball got past Langston Ginder for an error. The Chargers will take on No. 2 Fishers (26-7) at 8 p.m. for the regional championship. The Tigers snuck past Zionsville 6-5 in the morning semifinal.